Just because you have a shady garden doesn’t mean you can’t grow vegetables, and shade vegetable gardening isn’t bad or difficult! I’ve been growing vegetables in shade for years, and have experimented with lots of low sun vegetables. 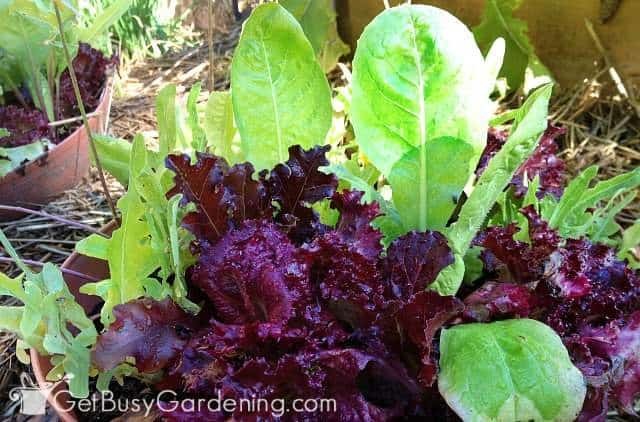 In this post, I will share my list of vegetables that grow in shade so you can utilize all the space you have for growing your own food. A very common question I get from readers is “can vegetables grow in shade?”. 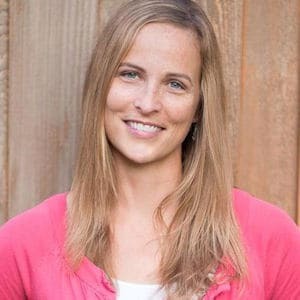 One of the biggest challenges many home gardeners face is not having enough sunlight to grow vegetables. Houses, trees, shrubs, fences and sheds all cast shade in our otherwise sunny gardens. I’ve struggled with this too, my vegetable garden used to be in full sun until the neighbors trees started growing taller, and now it’s mostly shaded. But don’t think of a shade vegetable garden as a bad thing! Shade Vegetable Gardening In Not A Bad Thing! If I’ve learned one thing from growing vegetables, it’s that they don’t all have the same growing requirements. I used to plant everything in full sun because I assumed that they would grow best there. But guess what, some vegetables actually prefer the shade, and shade loving vegetable plants will suffer in the hot sun. 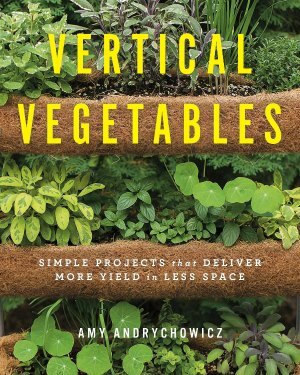 The best part about this fact is that, once you understand the growing requirements for each of your favorite vegetables, you will be able to use the space you have efficiently to grow all of the vegetables you want! 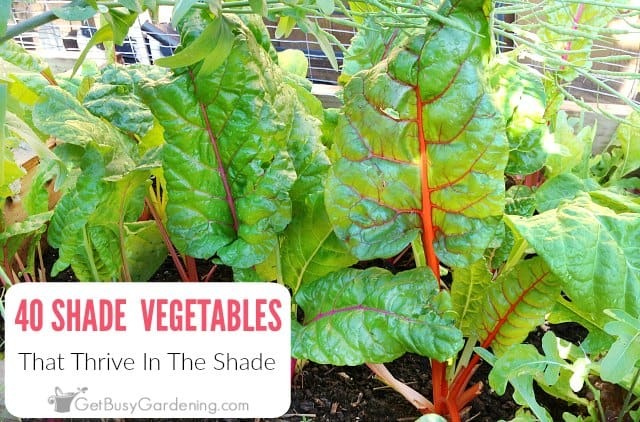 And if you’re like me, you’ll start to love shade vegetable gardening! How Shady Is Your Garden? But hang on a minute… how do you know that your garden is shady? Just because it looks like it’s in full shade when you get up in the morning or when you return home from work every day doesn’t mean it’s shady all day long. It could be getting much more sun than you realize. So, before you write your garden off as full shade (or start planting vegetables that grow in shade for that matter), it’s important to know how many hours of sunlight your garden gets. If you’ve never figured that out, then I encourage you to do this first. Here’s how to figure out how much sun your garden gets. 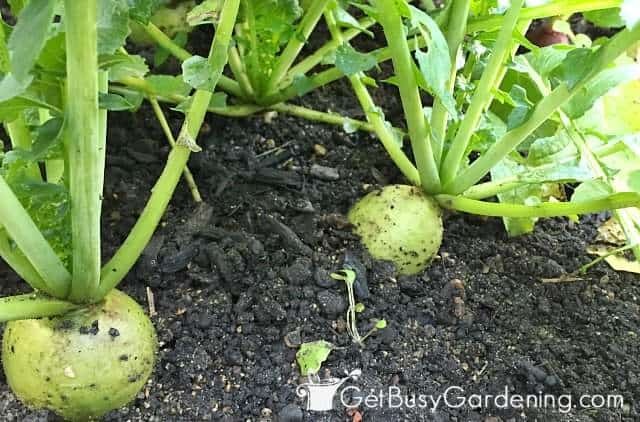 Once you know for sure how much sun your vegetable garden gets every day, you can plan which types of vegetables to grow in the different areas of your garden. Save your the sunny spots for the sun loving vegetables like tomatoes, peppers, tomatillo, eggplant, okra and melons, and embrace the sun challenged areas to grow your favorite shade loving vegetables! 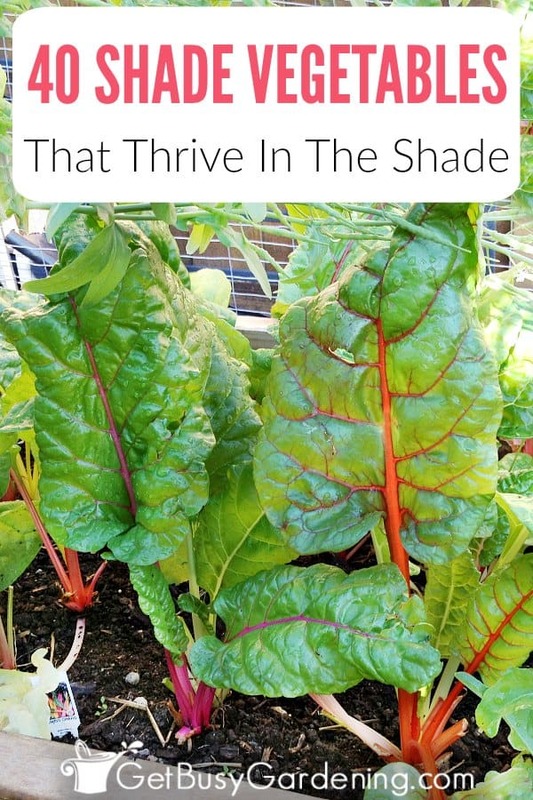 Since the neighbor’s trees began shading my vegetable garden all those years ago, I’ve been doing a lot of experimenting with vegetables that grow in shade, and have found tons of shade vegetable plants that grow very well in my garden. 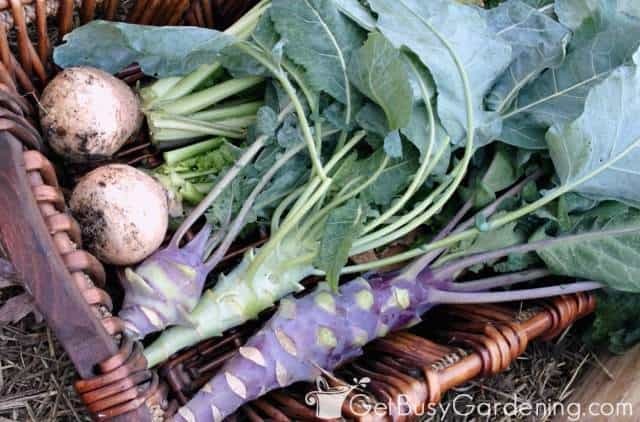 I’ve broken down my shade vegetables list into the three different categories (shade vegetables, partial shade vegetables, and partial sun vegetables) to make it super easy for you to decide which vegetables to plant in the different areas of your garden. I’ve also included several types of herbs that grow in shade so that you can fill up those shady vegetable garden beds even more! Though there really is no such thing as full shade vegetables, there are plenty that will grow well in a shady spot. 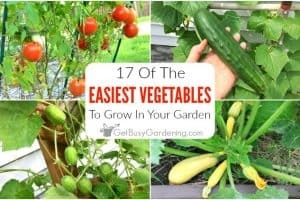 All of the shade growing vegetables on this list will grow just fine in a garden that only gets 2-3 hours of sunlight per day. In fact, many of these vegetables for shade will suffer if they get too much sun. Others in this list (like mint, catnip and lemon balm) tend to be aggressive when grown in full sun, and giving them less light will keep them more contained. All of these shade garden vegetable plants will also grow well in a partial shade garden. A partial shade garden is an area that gets 3-4 hours of sunlight per day. The part-shade vegetables in this list would also grow well in a partial sun area, but they don’t like full sun (especially if you live in a hot climate). They also won’t grow well if they get too much shade. A partial sun garden gets 4-6 hours of sunlight per day. 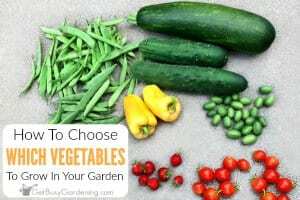 Though these are all vegetables that grow in the shade, a few of the plants on this list (like cucumbers, squash, pole beans and cherry tomatoes) will produce less food in a shady garden than they would if grown in full sun. So keep that in mind when choosing from this list of part-sun vegetables. I’ve been growing cucumbers, beans, cherry tomatoes and squash in my partial sun garden for years, and they’ve always grown very well there. I would probably get more food if I grew them in a sunnier spot, but I always end up with more than I can use, and have plenty left over for canning and pickling every year. 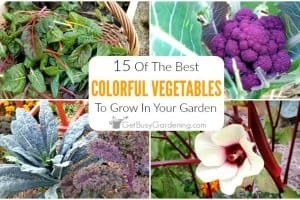 On the other hand, the cool season shade garden vegetables on this list (like peas, Brussels sprouts, cauliflower, broccoli and radicchio) will benefit from some protection from the hot sun, especially if you live in a place where it gets very hot in the summer. There’s not doubt that shade vegetable gardening can be more challenging than growing vegetables in full sun. 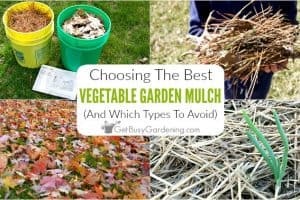 But once you understand what vegetables grow in shade, and the fact that several actually grow better in the shade, you’ll be able to utilize all of the garden space you have for vegetables that grow in shade, as well as those that prefer the sun. Share your favorite vegetables that grow in shade in the comments section below. I would consider planting a currant bush/shrub. Currants prefer part shade, and you could make wonderful preserves, compotes, etc. Yes, this is always a huge challenge for many gardeners. You’re welcome, hope your new garden thrives this year! 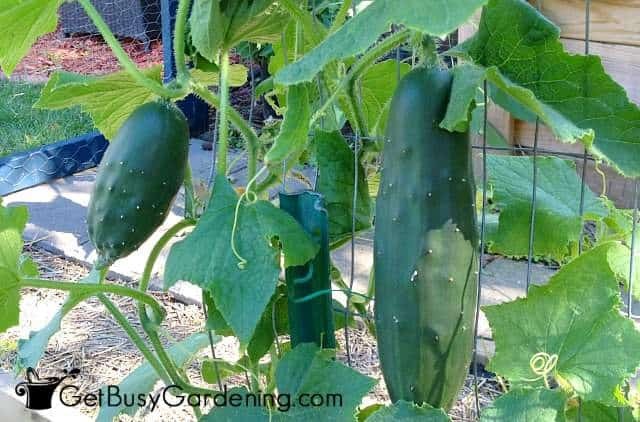 I have grown several varieties of cucumbers successfully in my part-shade garden. I have grown different varieties of picklers, as well as lemon cucumbers and Marketmore. I think you should go for it and see how well cucumbers grow for you. Oh, and if you grow them vertically, they might be able to get more sun than if the vines are left growing on the ground. I love to grow veggies at our apartment but our tiny balcony only gets a limited amount of sunlight. I’m glad to know that there are crops that would thrive in those conditions! Thank you for sharing! You’re welcome, hope they will grow well for you! By the way, many of these shade vegetables also grow well in containers! I’m so excited to learn that cucumbers can do well in part shade! Most of our garden is part or full shade, and I’ve been wanting to plant something other than ferns in the backyard. A little vegetable garden would be perfect! Awesome! Hope everything will grow well for you. Very helpful advice and wonderful photos! I’ve always wanted to start a vegetable garden, but had no idea where to start.